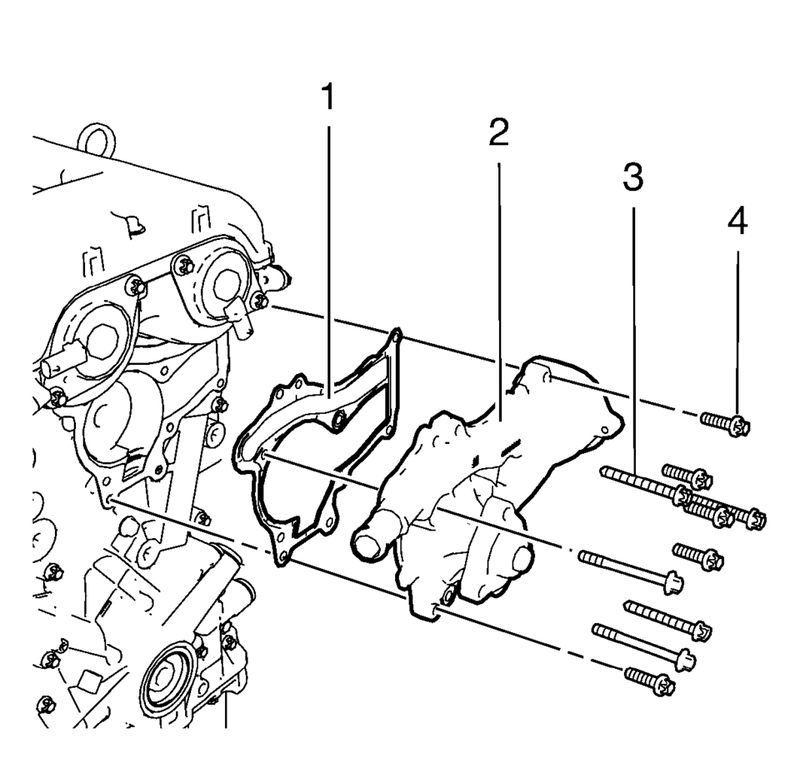 Remove the 5 short water pump bolts (4) and the 5 long water pump bolts (3). Remove the water pump (2). Remove the water pump gasket (1).